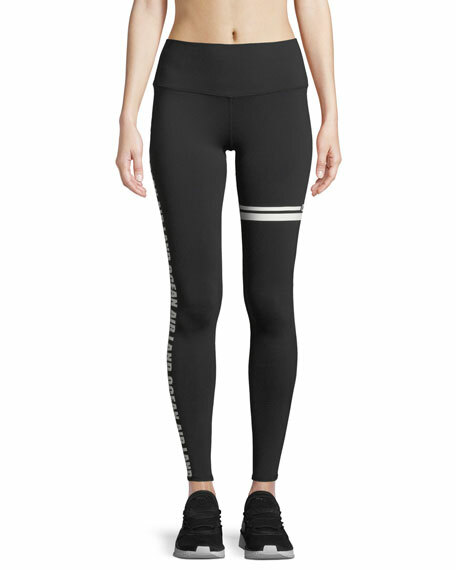 Alo Yoga moto-style performance leggings. Approx. measurements: 28" inseam; 37" outseam. Elastic waistband sits high on waist. 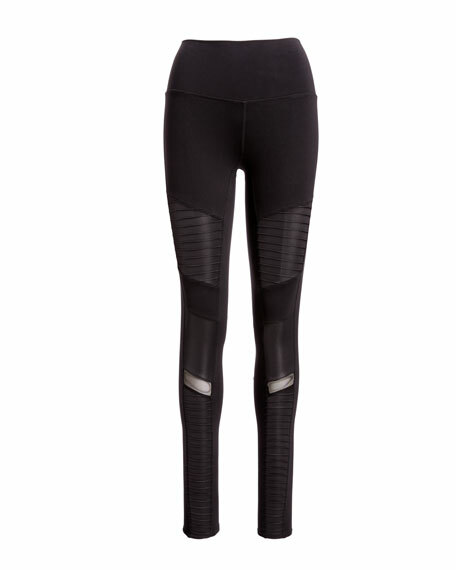 Ribbed paneling through legs with matte shine fabric. Cropped at ankles; pull-on style.